If you listen to Heart + Hustle Podcast or follow me on twitter then you know I am a fan of Shonda Rhimes and the television empire that she has built. 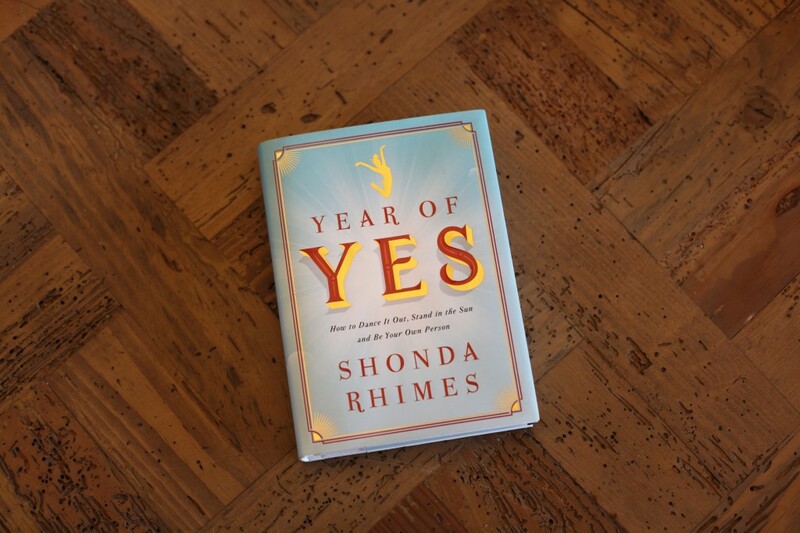 John gifted me Year of Yes as a birthday present and I couldn’t wait to start reading it. I went in with high expectations and Shonda did not disappoint. I have read quite a few memoirs by talented ladies lately and I have enjoyed them all but Shonda came through and blew them out of the water. This book is a reminder of why she owns Thursday nights. What I appreciated most about Year of Yes was its in your face honestly. Shonda addresses her struggles with social anxiety, parenting, her weight, and many other subjects that most people don’t want to talk openly to the world about. Challenging herself to become a better and more enlightened person led to her desire to help others do this same. Her authenticity impressed me and inspired me to make some major changes in my own life. Having the knowledge that such a powerful and well respected woman also struggles with social anxiety was comforting. If Shonda can build an empire while still dealing with social anxiety, so can I. If you have ever strived to be a better version of yourself, this book is for you. And by that I mean, this book is for everyone because we all should always be moving towards becoming the best versions of ourselves.